Missing teeth can often make people feel very self conscious. 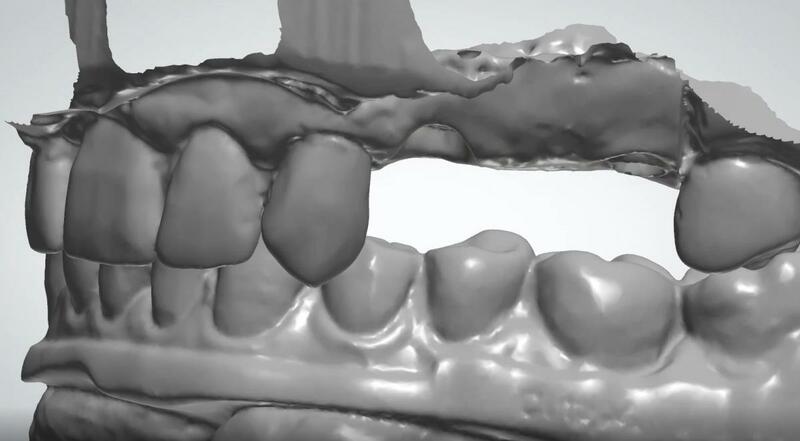 Bigger gaps can’t be replaced with dental bridges, and partial dentures/plates do not look very natural. 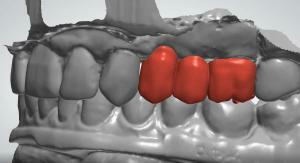 Another option is available: dental implants. 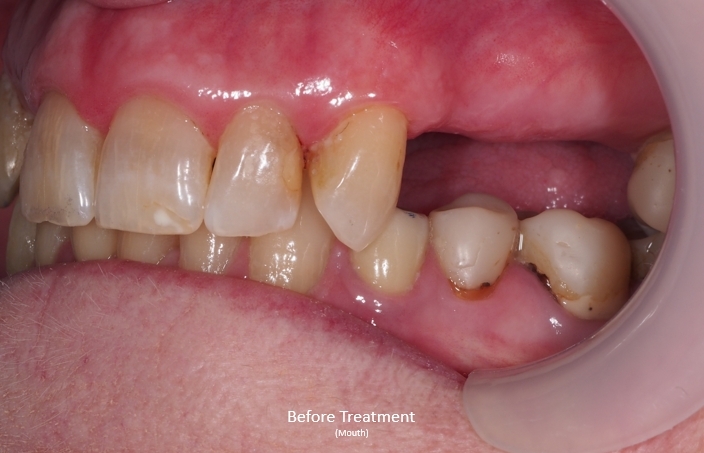 MC has always disliked her big gap on the left side of her mouth, which made her very self conscious and unable to smile in public. 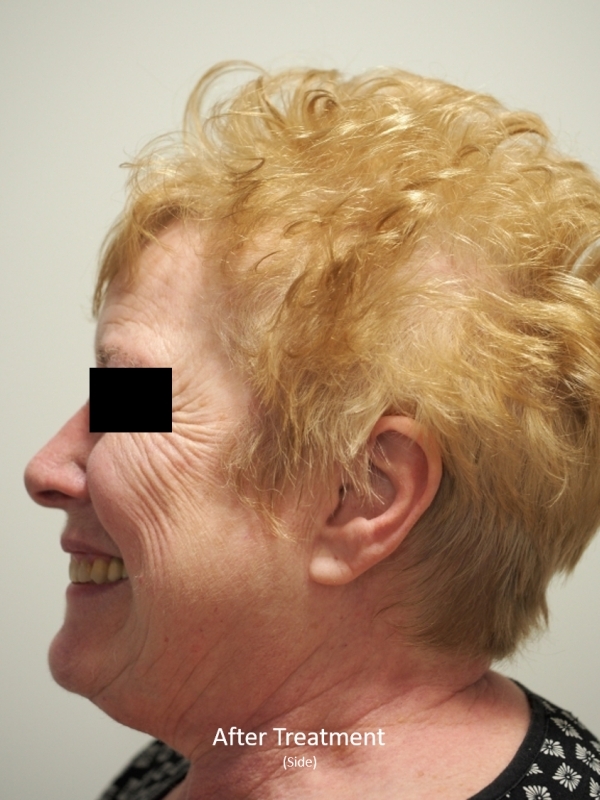 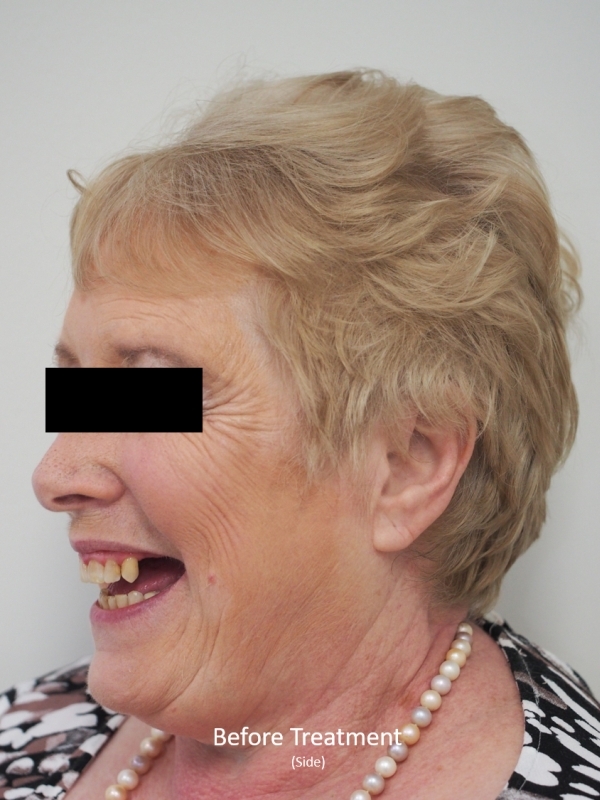 She had problems wearing a denture due to the fact that food kept getting stuck underneath and she could not have a bridge because the gap was too big. Dental implants were agreed to by MC, and using ‘digital dentistry’, the position of implants and the artificial teeth above were able to be planned with extreme precision. 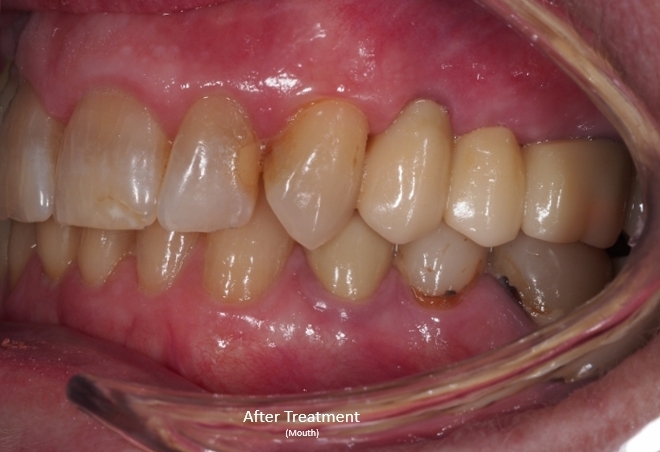 Look at MC’s teeth after dental implants were placed into the jaw.